IDF confisctes terror funds, arrests 12 wanted suspects. During a search by IDF soldiers in the city of Hevron, the soldiers confiscated tens of thousands of shekels in terror money. This activity is part of an ongoing campaign to prevent money from being used for terrorism. 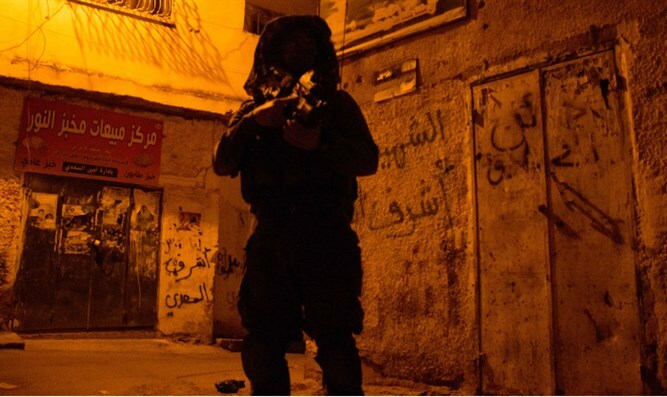 In addition, IDF soldiers operating in Palestinian Authority-assigned areas of Judea and Samaria detained 12 wanted persons suspected of involvement in terrorist activities, popular terror and violent disturbances against civilians and security forces.